Aims: The aims were to study various patterns of pseudoexfoliation (PXF) deposits over anterior lens capsule and its relation with intraocular pressure (IOP) and peripapillary retinal nerve fiber layer (RNFL) defects. Settings and Design: A cross-sectional study was conducted in the outpatient department of a tertiary care center. Subjects and Methods: Newly detected cases of PXF not on any antiglaucoma medications were selected. Central corneal thickness-corrected IOP was recorded with applanation tonometry. The four patterns that were made out are– three ring pattern (3R), two ring with no central disc (2R), radial pigmentary (RP) with multiple radial lines and combined (CR) pattern. 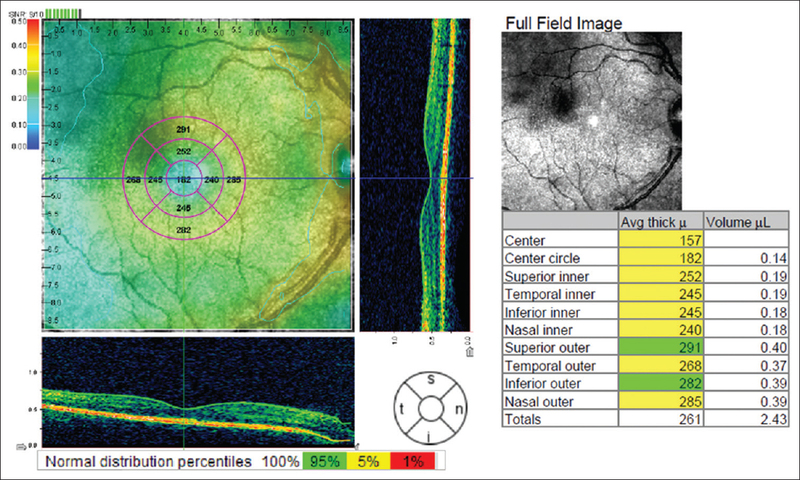 RNFL thickness with optical coherence tomography was recorded. Statistical Analysis Used: Frequency calculation and analysis were done using t-test and Chi-square test as applicable using SPSS software. Sensitivity, specificity, and diagnostic accuracy of ring pattern in detecting high IOP and RNFL defects were calculated. Results: Out of 40 eyes with PXF, 17 and 15 eyes had 3R and 2R patterns, respectively. 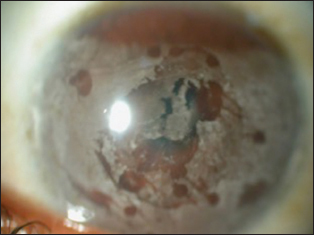 When out of 32 eyes with ring pattern, 8 recorded IOP >20 mmHg and 18 had RNFL defect. Sensitivity, specificity, and diagnostic accuracy of ring pattern in detecting RNFL thinning were 56.25%, 100%, and 65%, respectively. Conclusions: PXF is a severe form of glaucoma, with about 45% having severe disc damage even at presentation. Detection of ring pattern mandates early treatment and follow-up even with borderline IOP. RP pattern also requires regular follow-up as progression to severe damage may occur with age. 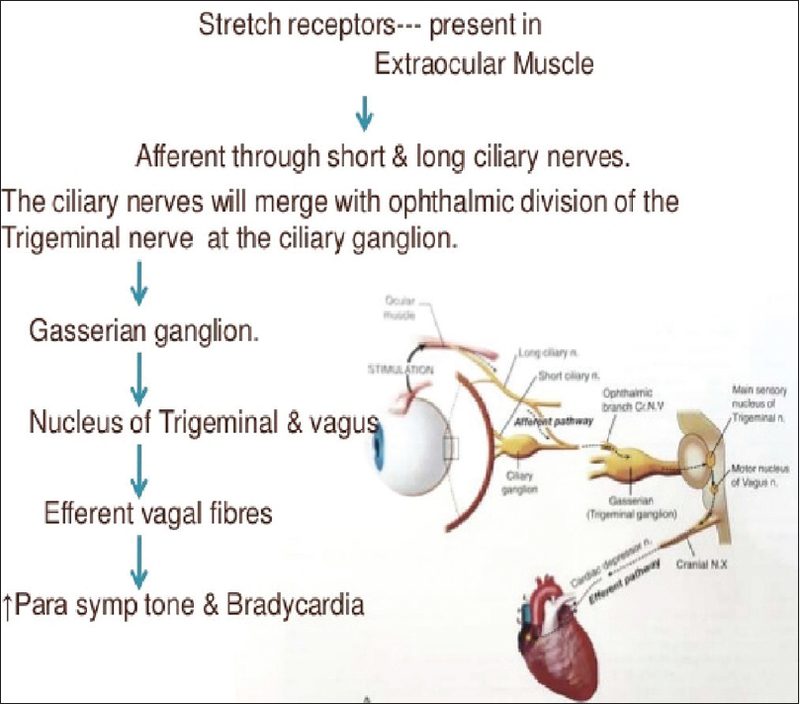 Background: Diabetic maculopathy is the major cause for blindness in type 2 diabetics. Slit-lamp biomicroscopy with +90 D lens has been the traditional method for diagnosis. Neurodegenerative changes precede clinical retinopathy. Optical coherence tomography (OCT) is a newer tool for diagnosis of such subtle changes in the macula. Aim: This study aimed to compare the central macular thickness (CMT) in type 2 diabetics without clinical retinopathy and normal controls. Subjects and Methods: This prospective case–control study was conducted at a rural tertiary care center after obtaining clearance from the Institutional Human Ethics Committee. CMT was measured using spectral-domain OCT among the type 2 diabetics without clinical retinopathy and control group. CMT was correlated with duration of diabetes and glycemic control using Pearson's correlation. Results: This study included 170 patients (85 cases and 85 controls). 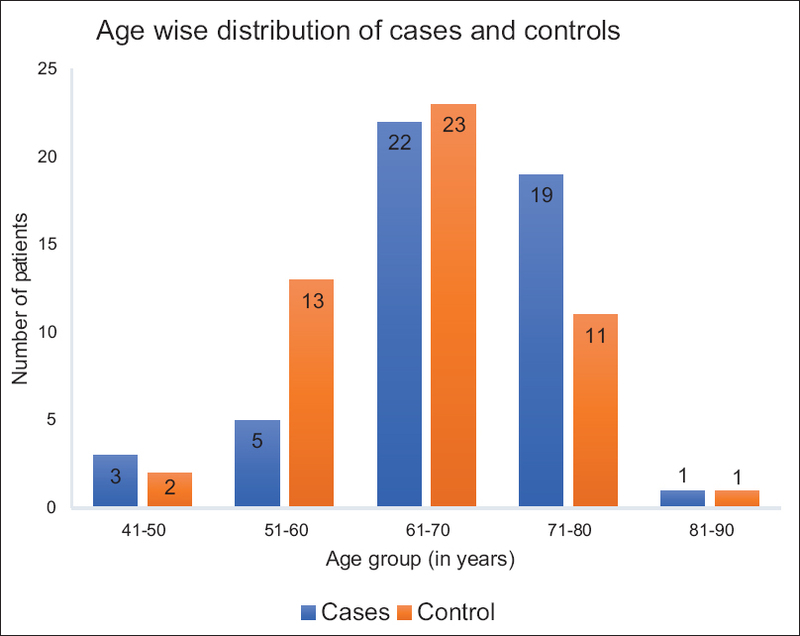 The average age in cases and controls was 52 ± 10.2 years and 51 ± 8.1 years, respectively; this difference was statistically not significant. Duration of diabetes ranged from newly diagnosed to 15 years. Mean glycosylated hemoglobin (HbA1c) in the study and control groups were 8.93 ± 2.54% and 4.57 ± 0.56% respectively. Mean CMT in type 2 diabetics without clinical retinopathy was 198.47 ± 17.98 μm and in control group, it was 235.68 ± 11.25 μm (P = 0.00). CMT among male diabetics was thicker than that of female diabetics (P = 0.00). CMT did not correlate with duration of diabetes (r = 0.54) or with the glycemic control (r = 0.09). Conclusion: CMT was thinner among type 2 diabetics without clinical retinopathy than healthy controls. CMT did not correlate with duration of diabetes or with the glycemic control. 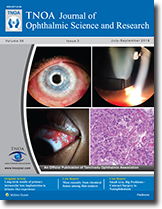 Aim: The aim of the study was to assess the effect of intracameral preservative-free lignocaine (1%) on the dilatation of pupil while doing phacoemulsification surgery. Materials and Methods: A prospective study carried out on 21 patients in a tertiary care hospital. The pupil diameter was measured just before instilling intracameral preservative-free lignocaine, after 1 min and 5 min, respectively. Any mydriatic was not used either before or during the surgery. Effects were compared between male and female patients and between light- and dark-colored irides patients. 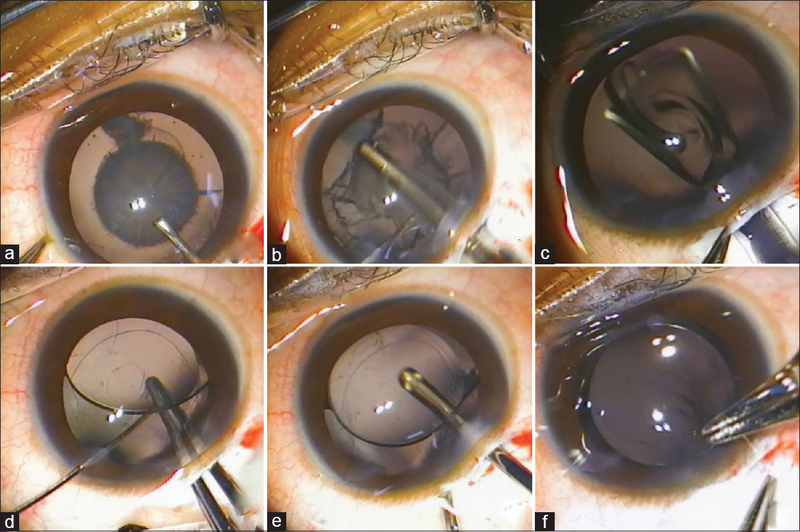 Results: The diameter of pupil after instillation of intracameral lignocaine was significantly higher. The effect was more pronounced in light-colored irides. There was no difference in the pupillary diameter between both the sexes. Conclusion: Intracameral preservative-free 1% lignocaine has a fast and effective mydriatic property and with more studies, can be used as a safe alternative to topical and intracameral mydriatic while phacoemulsification. Objective: The main objective of this study is to analyze the long-term outcome in children who underwent cataract surgery for congenital cataract with intraocular lens (IOL) implantation <24 months of age. Materials and Methods: The study involves a retrospective analysis of children, <24 months who had undergone phacoaspiration, primary posterior capsulorhexis, anterior vitrectomy, and primary IOL implantation in our institution, between January 2009 and December 2013 with minimum of 4-year follow up. 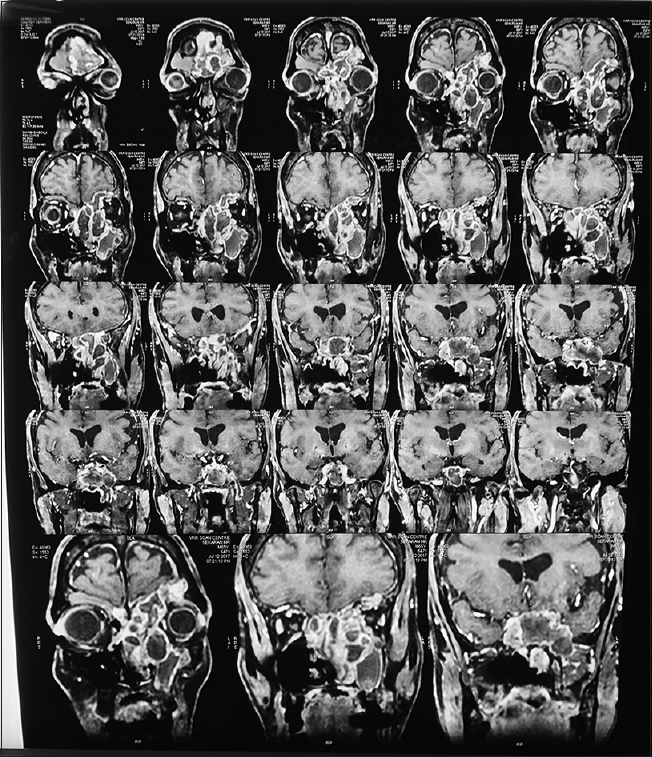 Results: Thirty-nine eyes of thirty children were analyzed. Mean age at surgery was 13.6 months. 46.1% achieved visual acuity logMAR 0.47 or better. Mean visual acuity in the last visit was logMAR 0.77. Mean visual acuity in unilateral cataracts was logMAR 1.07 when compared to logMAR 0.3 in bilateral cataracts. Mean visual acuity in children operated <12 months and 13–24 months of age are logMAR 1 and 0.6, respectively. The shift in mean spherical equivalence was 4.43D at 2-week postoperative to − 1.02D at the latest visit. Mean myopic shift being 5.91D. Comparison between children operated <12 months and 13–24 months of age for the myopic shift and visual acuity in the last visit had very high statistical significance (P = 0.0003). Conclusion: Refractive results after primary IOL implantation in children <2 years are variable. Limited data exist about their long-term outcome. Our study suggests that it is surgically safe and has a favorable long-term outcome for primary IOL implantation in these children. Aim: The aim of the study is to find the correlation between modifiable risk factors such as body mass index (BMI), waist circumference (WC), and smoking with age-related macular degeneration (AMD). Materials and Methods: In this hospital-based, observational, case-control study, 100 patients presenting to our outpatient department over a period of 1 year were included in the study. The selected participants were grouped into the AMD group which included 50 eyes with nonneovascular AMD and neovascular AMD along with 50 eyes as a control group. All participants underwent comprehensive ophthalmological examination along with measurement of weight, height, and WC. Results: Fifty eyes of 50 patients diagnosed to have AMD and 50 eyes of 50 age-matched controls were included in this study. The mean age was 66 years (49–85 years). The mean BMI in patients with neovascular AMD was 27.74 kg/m2 ± 4.93 (n = 19). The mean BMI in patients with nonneovascular AMD was 25.58 kg/m2 ± 2.90 (n = 31), whereas mean BMI in the control group was 23.85 kg/m2 ± 3.31 (n = 50). There was a statistically significant difference between the two AMD groups and the control group with respect to BMI (ANOVA; F = 8.605; DF = 2; P < 0.001). The mean WC in patients with neovascular AMD was 104.63 cm ± 5.78 (n = 19). The mean WC in patients with nonneovascular AMD was 102.6 cm ± 6.1 (n = 31), whereas mean WC in the control group was 91.7 cm ± 6.7 (n = 50), and the difference was statistically significant (ANOVA; F = 42.70; DF = 2; P < 0.001). Statistically significant difference was observed between the smokers belonging to case and control groups (ANOVA; F = 13.967; DF = 2; P < 0.001). Conclusion: A statistically significant correlation exists between BMI, WC, smoking, and the severity of AMD. Chemical fumes are known to cause eye injury resulting in disablement. 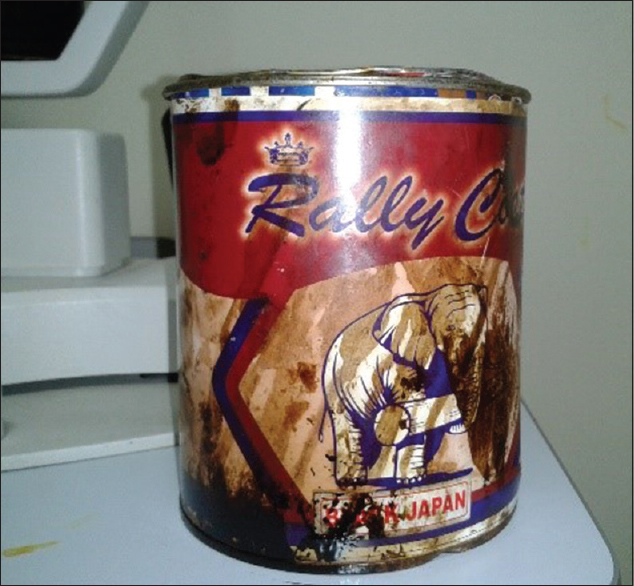 A mass casualty (group of 17 filmmakers) reported with severe irritation, watering, redness, photophobia, and blepharospasm in their eyes following approximately 12 hours after exposure to fumes of Japan black mixed with kerosene after film shooting with intense arc light. Examination revealed chemical conjunctivitis, keratoconjunctivitis, dermatitis, and eyelid edema. Symptoms resolved within 48 hours in all except 1, with supportive treatment, lubricant eye drops, and rest in the darkened room. This case report underlines the need for healthy industrial practices to avoid chemical injuries from volatile chemicals among filmmakers. Pertussis is an infection of the respiratory tract caused by Bordetella pertussis commonly affecting the infants and the young children. Diphtheria-pertussis-tetanus vaccine is available for the prevention of the disease. However, pertussis has been reported in vaccinated individuals. It is characterized by paroxysms of cough, leading to various ocular manifestations such as subconjunctival hemorrhage, lid ecchymosis, and retinal hemorrhage. We report a case of a vaccinated boy who presented with ocular complaints and later diagnosed to be suffering from pertussis and treated successfully for the same. 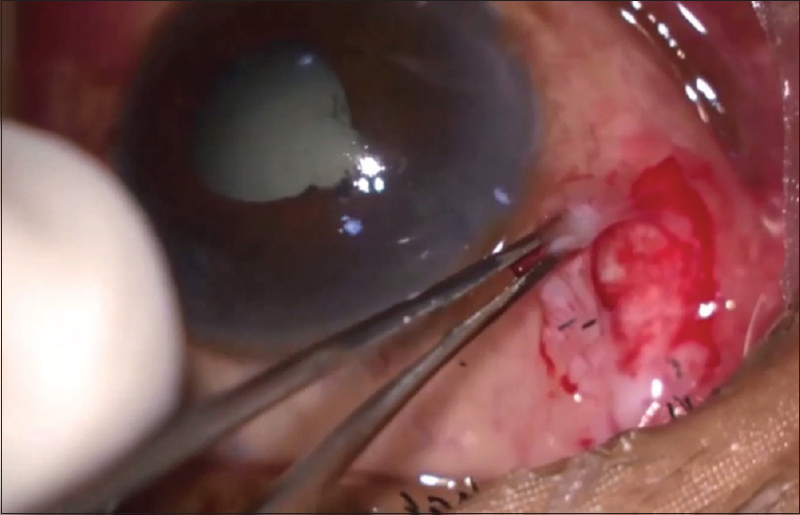 Although rare, postoperative endophthalmitis is one of the most feared complications of cataract surgery. It may significantly compromise visual function and even the anatomical integrity of the eye. 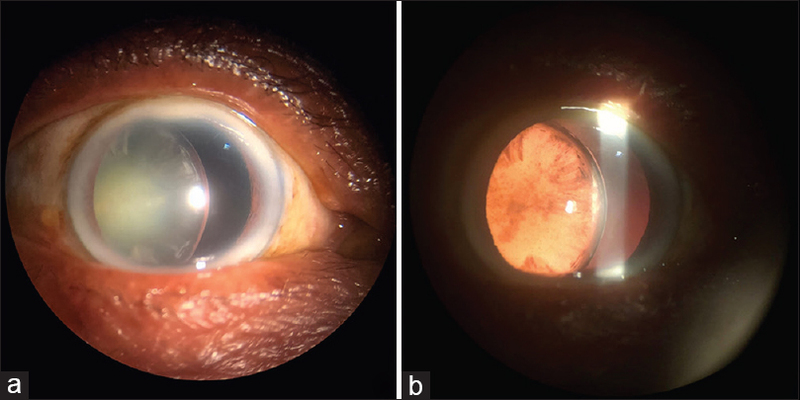 Despite the significant reduction in recent years, considering the millions of people who undergo cataract surgery each year, postoperative endophthalmitis still poses a significant public health issue, and every step should be taken to reduce its occurrence. In addition to the use of Povidone iodine 5% solution in the conjunctival sac few minutes prior to surgery, proper construction of wound and use of prophylactic intracameral antibiotics play a mojor role in reducing the incidence of postoperative endophthalmitis.